Share a gift of beautiful delight. 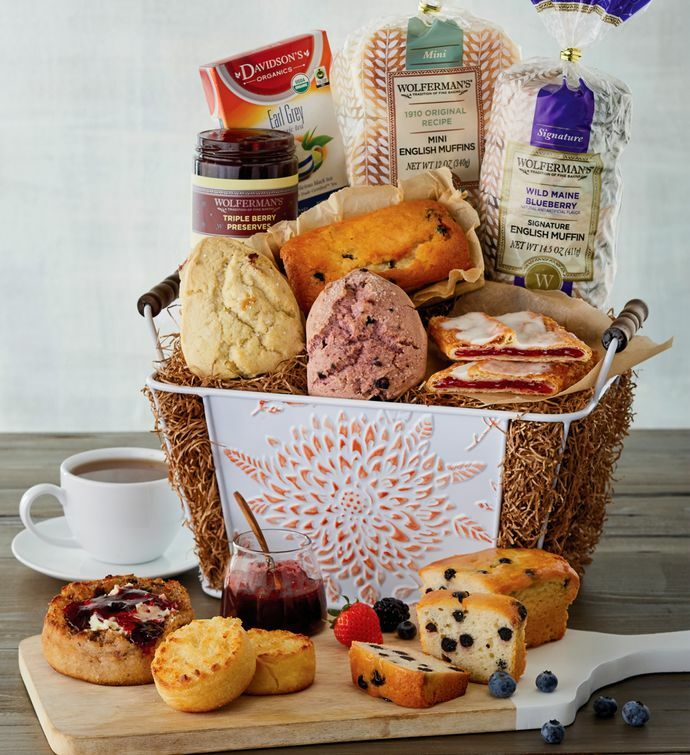 This elegant white metal container with wooden handles and an embossed orange flower on the front is filled with a variety of baked goodies, including lemon vanilla blueberry loaf cake made in our bakery, super-thick blueberry signature English muffins, two varieties of scones, and a raspberry kringle. We've also included a lovely Earl Grey tea to complete this impressive gift.